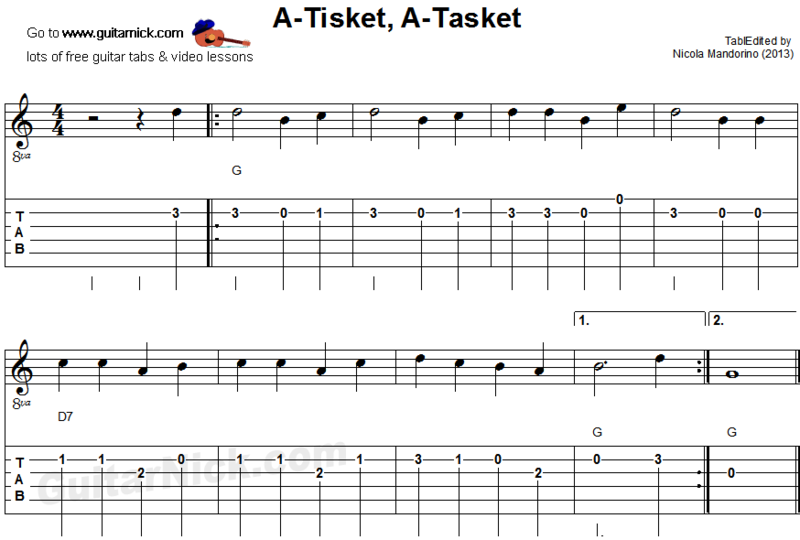 In this page there are two easy guitar arrangements for beginners. In the first one there are only single notes, in the second one there is a full arrangement with notes and chords together. 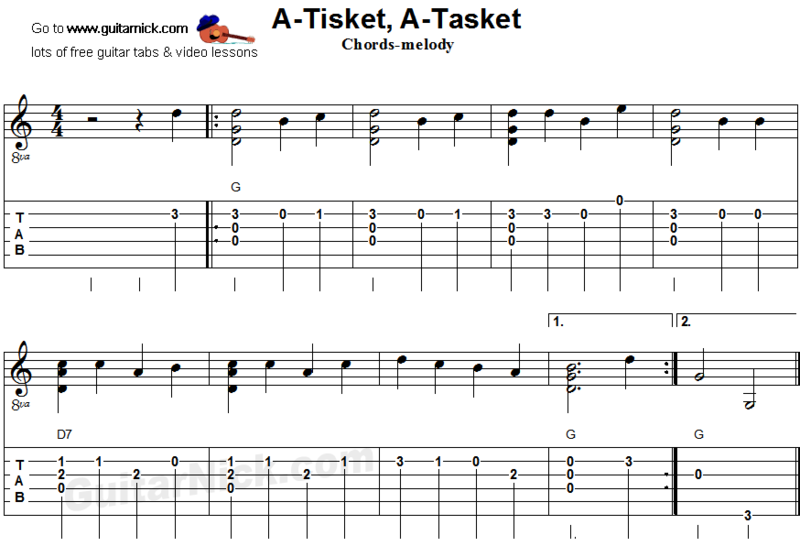 Learn how to play them easily with accurate tablature for guitar, chords and video tutorial.